Much like a wine tasting or any other sort of food or drink comparison, a certain amount of preparation is required when setting up a tequila tasting. Make pen and paper available for your tasters who would like to take notes. Mmm… lots of tastes to sample!! Now that you know how to talk about what goes into your mouth, let’s talk about what goes into your mouth. 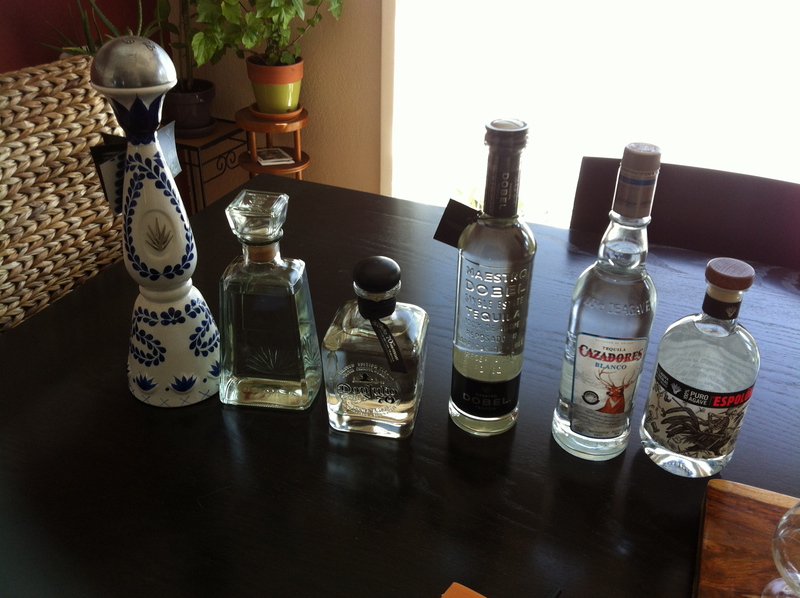 When tasting tequilas, plan on tasting at least three, but no more than six. When pouring, dole out no more than half of an ounce; a quarter-ounce should do. Enough tequila to coat the tongue, not enough to hammered after just three. And… when pouring, pour into nice, clean, double-rinsed glassware. Double-rinsing helps ensure that there’s no soapy residue left in the glasses. And, for the glasses, Reidel actually makes Tequila Glasses. But, you’ll note their shape. Very similar to ISO wine glasses. White wine glasses will do, but as I’m a fan of tequila’s scent, I recommend small brandy snifters. They gather the scent up nicely. Rounding out what goes on the table for your tasters: palate cleansers. Leave out a cup with coffee beans in it so folks can clean their noses with just a sniff. Clean, room temperature water is always excellent; you don’t want it ice cold as that messes with your palate too much. And, plain water table crackers to get any lingering flavors out of the mouth. I’ll get in hot water for saying this, but as I have a Mexican Lime Tree in my yard, I also leave out a cup with sliced limes… for smelling. Don’t let folks chomp on them during the tasting, just let them smell. After you’re all done tasting, if folks want to have more of their favorite tequila, THEN they can have limes. And there you go! 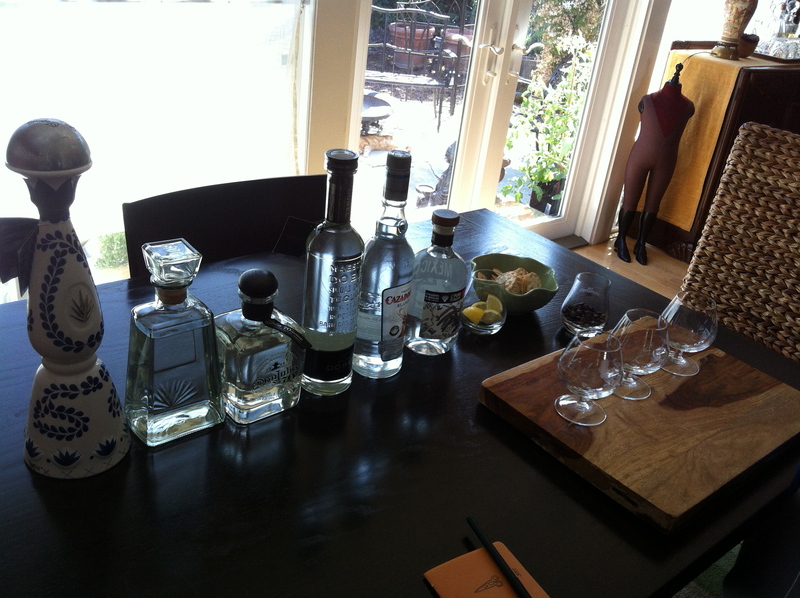 A simple way to set up a tequila tasting. If you all have notes on how to improve or simplify, just holler! I look forward to hearing how a tasting works for you!